Penguin, 1997. Paperback. Acceptable. Disclaimer:A readable copy. All pages are intact, and the cover is intact. Pages can include considerable notes-in pen or highlighter-but the notes cannot obscure the text. At ThriftBooks, our motto is: Read More, Spend Less.Dust jacket quality is not guaranteed. Penguin, 1997. Paperback. Good. Disclaimer:A copy that has been read, but remains in clean condition. All pages are intact, and the cover is intact. The spine may show signs of wear. Pages can include limited notes and highlighting, and the copy can include previous owner inscriptions. At ThriftBooks, our motto is: Read More, Spend Less.Dust jacket quality is not guaranteed. Penguin. Used - Good. Good condition. Penguin. Used - Acceptable. Acceptable condition. Dampstained. Basic Books, 1997. Book. Near-Fine. Trade Paperback. 8vo - over 7¾" - 9¾" tall. Near-fine condition NO remainder marks or clippings. Tight spine clean pages. 290 pages. Illustrated. NO writing marks or tears inside book. Covers show light wear (NO tears). 8vo - over 7¾" - 9¾" tall. Penguin. Used - Acceptable. Ships from the UK. Former Library book. Shows definite wear, and perhaps considerable marking on inside. 100% Money Back Guarantee. Your purchase also supports literacy charities. Penguin Books, 1997. Trade Paperback. Very Good. New York: Basic Books, 1997. First Paperbk Edition. very good. 290, wraps, illus., map, notes, index, slight wear to cover edges. 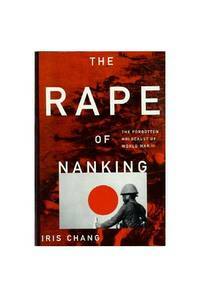 In December 1937 the Japanese army swept into the ancient city of Nanking (Nanjing) and within weeks looted and burned the city and raped, tortured, and murdered over 300, 000 Chinese civilians. The author discovered the diaries of John Rabe, the German leader of the effort to rescue Chinese civilians. Penguin. PAPERBACK. 0965604926 New Condition. . New.